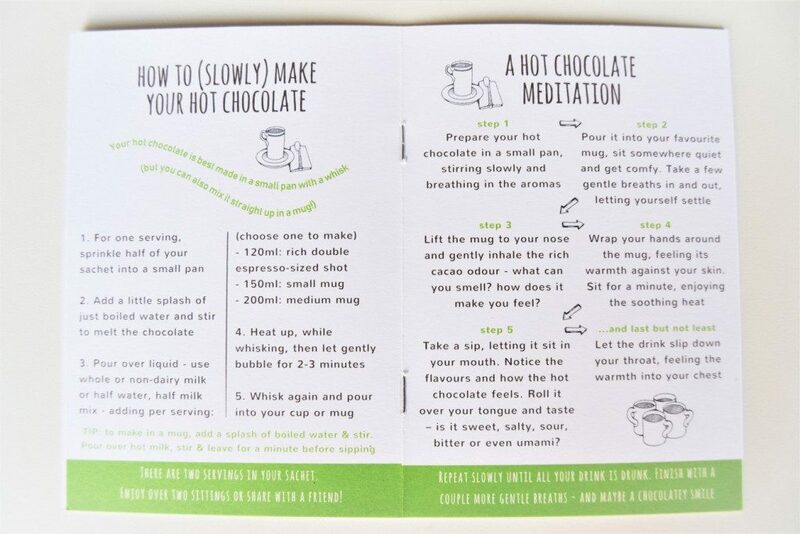 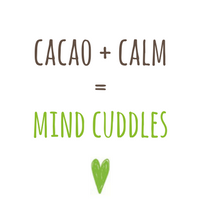 This is a special slow and chocolatey experience to enjoy in the peace and quiet of your own home, blending meditation, mindfulness – and chocolate! 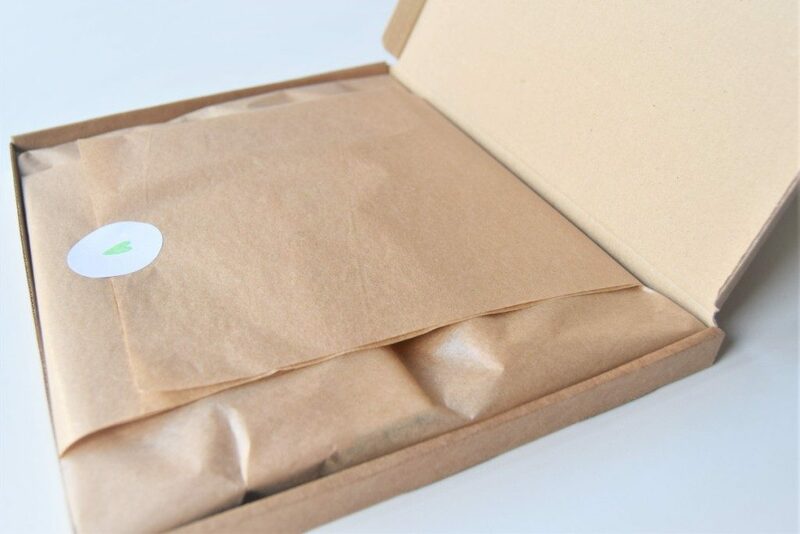 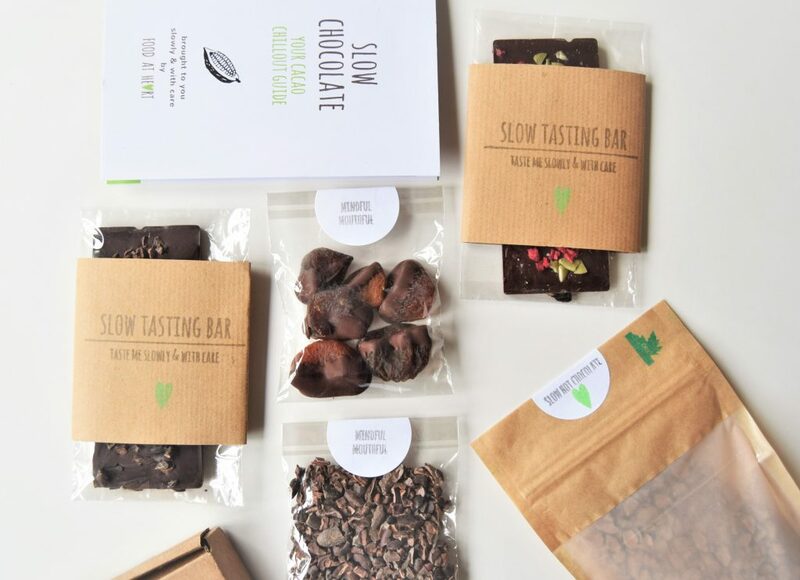 The Slow Chocolate Tasting Kit is a kit full of chocolatey delights designed to be savoured not scoffed. 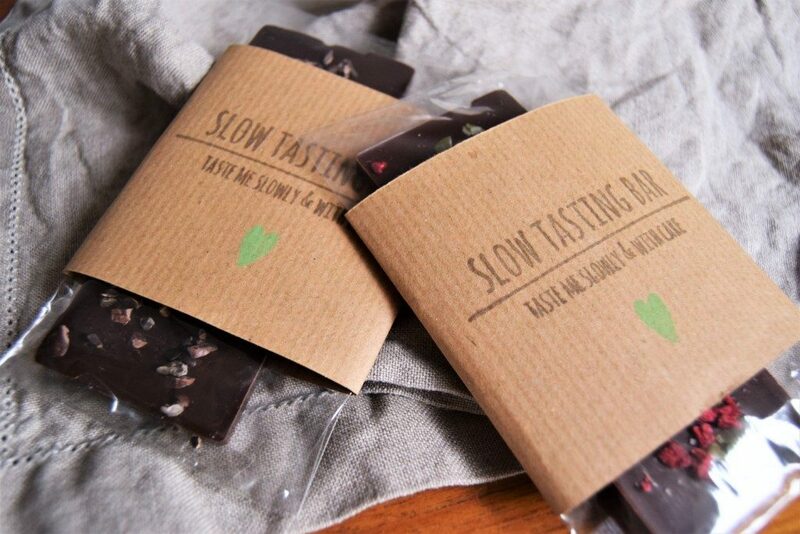 I have created them in the Food At Heart kitchen using delicious, fine quality single-origin dark chocolate.